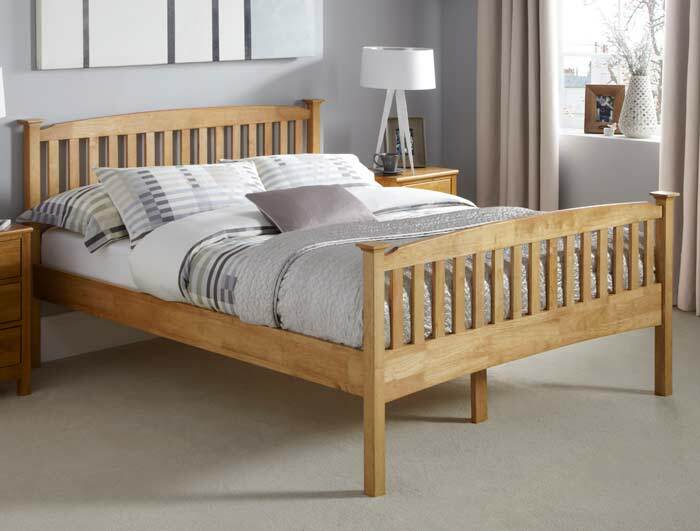 The Serene Eleanor hevea High foot bed frame is made from environmentally farmed Brazilian rubber wood from sustainable forests. The tree produces rubber all its life and when it cannot produce any more is harvested for making furniture. 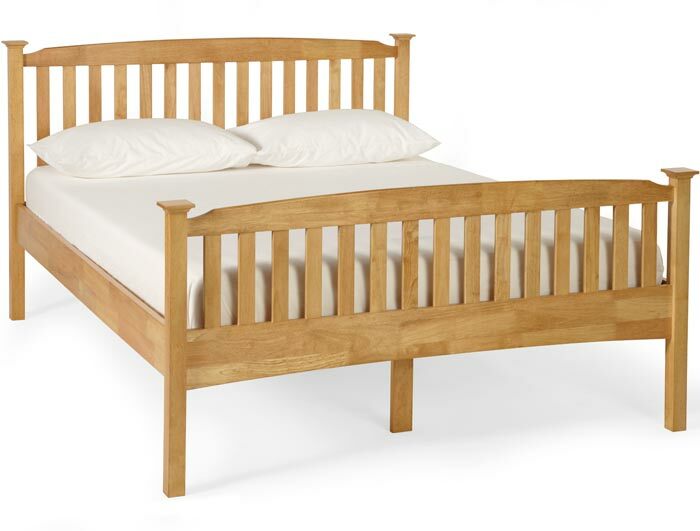 Hevea is extremely strong, much stronger than pine and very durable. 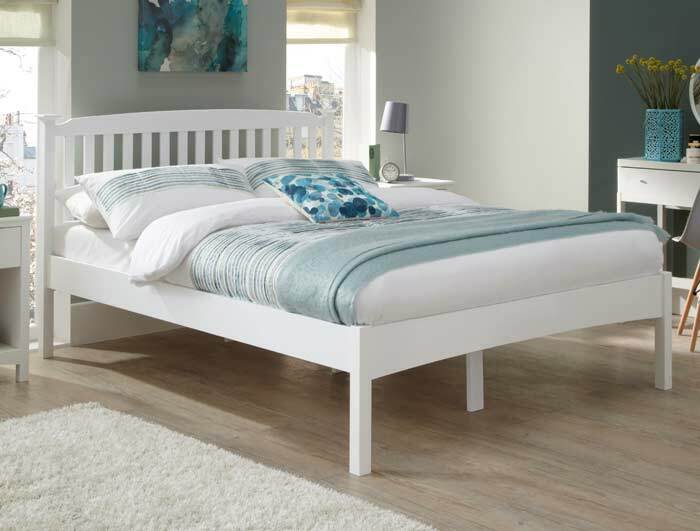 The Eleanor bed frame is available in 5 sizes single to super king size this model is the high foot end option , but is only available as a Low foot end bed frame . The frames comes flat packed for home self assembly with a sprung slatted base. Please note some postcodes like Ab, Dd, Kw, Iv, PA, PH and FK18 + Serene will not deliver to , so they will need to deliver to us and we will arrange onwards carriage to you on a similar service at a cost of £25 per item.